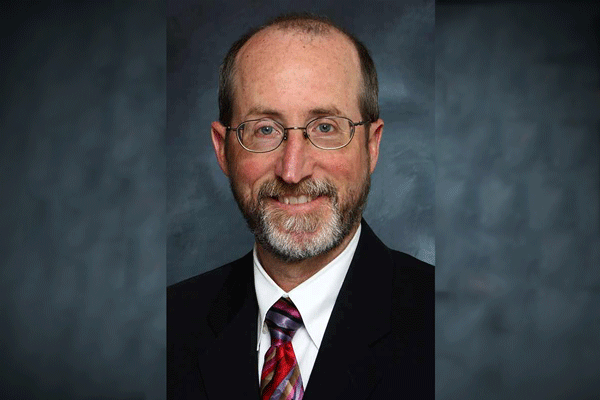 Steve Glazer, mayor of Orinda, emerged as the victor in the runoff race in an East San Francisco Bay Senate race defeating Assemblymember Susan Bonilla of Concord with 55% of the vote. The campaign in Senate District (SD) 7, pitting two Democratic candidates, has been one of the most closely watched and hotly contested state Senate races in California history. Glazer’s victory is a major win for the California business community and proponents of education reform who engaged in an independent effort that promoted Glazer’s stances on transit strikes, taxes, teacher dismissal laws. JobsPAC, the bipartisan independent expenditure committee co-chaired by the California Chamber of Commerce, in its continuing effort to elect candidates who support job creation through private sector economic growth and expansion, spent close to $1.5 million on Glazer’s behalf. With all precincts reporting, the Secretary of State website showed Glazer led Bonilla 54.6 percent to 45.4 percent — a margin of 10,255 votes out of the roughly 111,000 cast. The San Francisco Chronicle reported that Glazer took an eight-percentage-point lead almost as soon as the polls closed at 8 p.m., and Bonilla could never gain ground. Glazer, a moderate Democrat and longtime political advisor to Governor Edmund G. Brown Jr., received outside help from the CalChamber and a coalition of education reform minded individuals and organizations, while public sector unions spent heavily for Bonilla, the Los Angeles Times reported. The best summary of the race comes from Stephen Woolpert, a professor and political expert at Saint Mary’s College in Moraga. As reported in the San Jose Mercury News: “Even if voters are ignoring the race, they helped shape it,” Wolpert said. “By passing reform measures that established term limits, ended gerrymandered legislative districts and allowed members of the same party to compete in runoffs, voters made elections more competitive and improved the prospects of centrist candidates. The SD 7 race, where both candidates were Democrats, is an example of how voters benefit from the CalChamber-supported top-two primary reform voters approved in 2010, explains Martin Wilson, CalChamber executive vice president, public affairs. After the JobsPAC victories in November 2014, Wilson explained that the “top-two primary” is actually is a system that could be a new reality show called “campaign survivor,” where only the strongest and most capable candidate, regardless of party, remains on the island after all contestants have been vanquished. This special election for was held to fill a vacancy created in the Senate when Mark DeSaulnier (D-Concord) was elected to Congress. Pointing to the JobsPAC legacy of success, Wilson explained that CalChamber and its business community allies positively affected the outcome in several November 2014 runoffs where both candidates were Democrats. “In these intraparty contests, business groups and individuals were able to independently help candidates achieve victory by appealing to a large cross section of voters, including and especially, Republicans and those who express no party preference,” Wilson said. Again Wilson explains, highly competitive races like in SD 7 will continue because Democrats are being elected to the Legislature due to their ability to move across party lines and appeal to Republican voters, and that makes these candidates the moderate ones in the race. Wilson’s point about cross-party appeal, was easily illustrated in Tuesday’s race. According to the analysis by Political Data, cited by poliitcal analyst Tony Quinn, a third of the voters were Republicans; 15 percent were Decline to State, and only a little more than half were Democrats. Quinn wrote in Fox and Hounds Daily that this race required a new kind of campaign. No date has been set for Glazer’s swearing in. SD 7 includes large parts of Alameda and Contra Costa counties. To maintain success in defeating job-killing legislative proposals, it is vital the CalChamber Political Action Network continue to find and elect candidates of both parties who are willing to stand up to the special interests that prefer politicians who share the philosophy of tax, spend and regulate. In 2016 there will be 16 open Assembly seats and at least five open Senate seats.